This week it is ‘for the kids’. 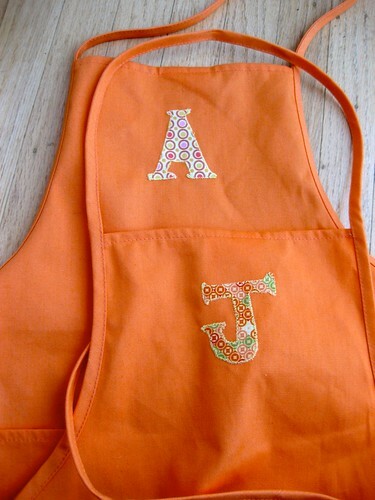 I made some aprons for two special little chefs/artists. 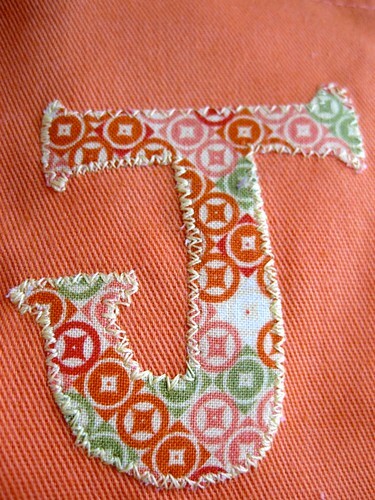 The fun part was picking out fabric I had in my stash for the initials. 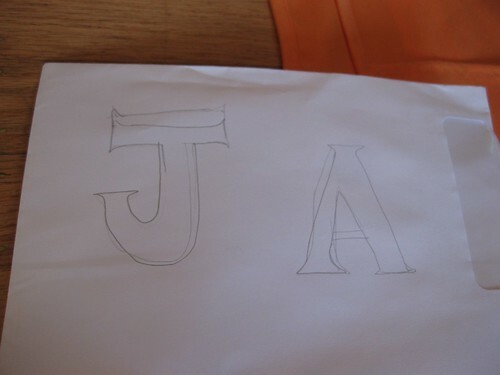 I sketched out the letters. 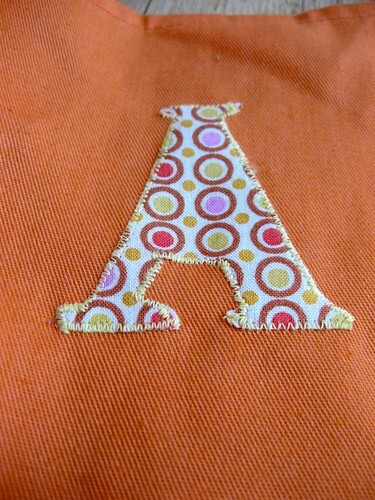 Then I transferred the letters to the iron-on facing. 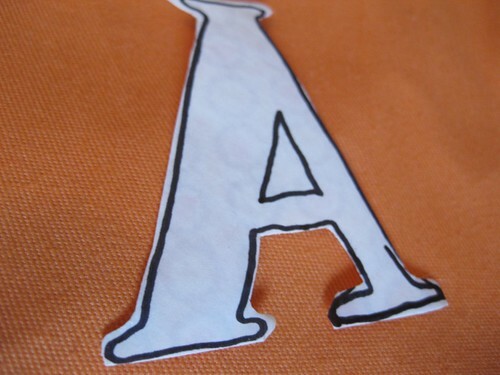 I ironed the letters to the fabric, and then cut them out. The trick here is to get the letters going in the right direction. I sketched them out “normally”. Then I went around them with a thick black sharpie, so I could see them through the paper. I turned the sketch upside down, and laid the iron-on paper over the top of it. Then I traced the reverse image onto the paper of the iron-on. 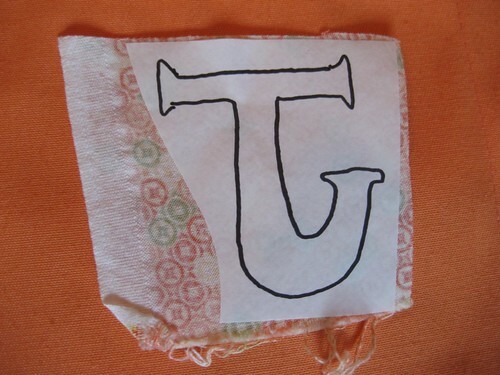 It is important to get the letter onto the iron-on backwards, because you will iron onto the WRONG side of the fabric, and then peel the paper off, turn over, and iron it down. All of that is a little bit too much to digest without actually doing it, so hopefully I just saved you a trial run. 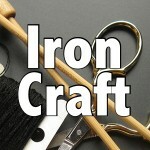 After you iron, let the letter cool for a minute, and cut it out. 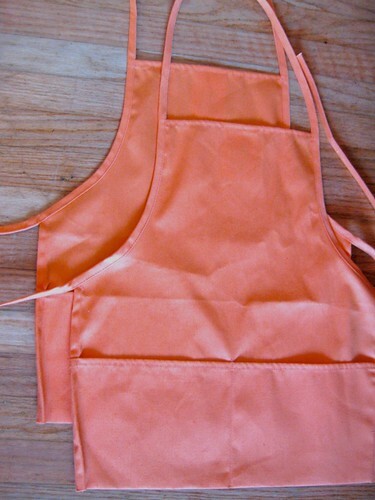 (it is backwards) Then peel off the paper, place the letter on the apron, and iron again. 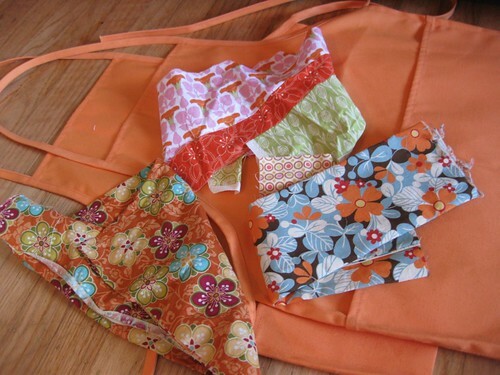 Then stitch around them. 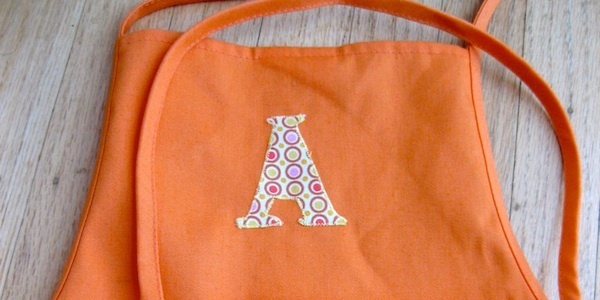 I used my machine, but you could take it up a notch and embroider too. These were fun. And oh so fast. If you try some, be sure to post them to our Flickr group! We would love to see!